Offer Conversion is a private CPA network and digital media marketing company founded by highly experienced online marketers with over 20 years of experience and proven success as affiliate marketers. 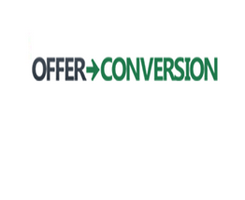 Offer Conversion has a single goal in mind and it is to surpass all affiliate expectations as a business partner. We offer a wide variety of verticals to suit all publisher needs while vetting the online marketing landscape for new ideas. In addition, our excellent customer service helps us retain relationships and profit for both the publishers and advertisers.